With a tradition of making gelato the Italian old-fashioned way, Bianco Gelato uses only organic certified ingredients that enhance the real taste you will love. 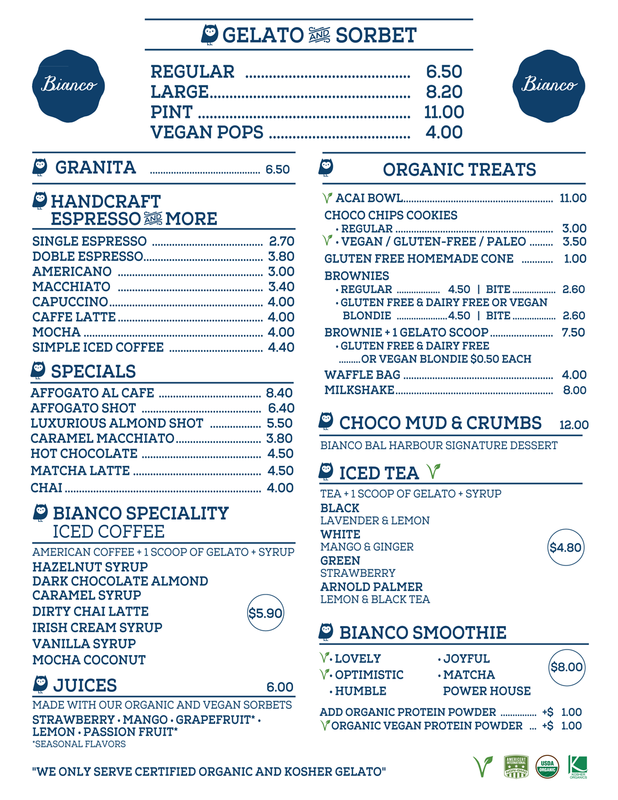 Offering high-end gelato, cookies, brownies, coffee and more, Bianco Gelato follows one simple rule: all food should be simply healthy and tasty, food we can pronounce, food we can give to our kids with no guilt. Follow Bianco Gelato on Facebook & Instagram.